Widespread Landscape and Maintenance is your one stop shop for all of your B.M.P needs. From certified site evaluations, to installing the B.M.P's, to receiving your certification of completion, we perform all of your B.M.P needs. Widespread Landscape and Maintenance is committed and dedicated to protecting the clarity of Lake Tahoe. That is why for over 12 years we have been certified B.M.P. installers with the T.R.P.A. We have installed and certified over 100 residential homes in the Lake Tahoe Basin. 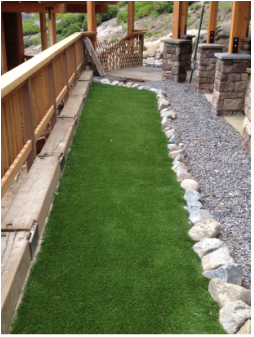 We can incorporate your B.M.P's into an overall landscape that is both aesthetically pleasing and good for Lake Tahoe.